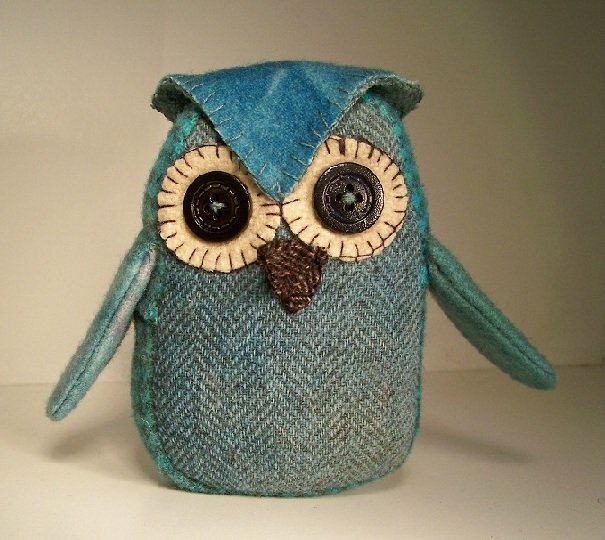 Meet Patches, an adorable Owl Pincushion WHO is sure to be a "hoot" in your sewing room or studio!! This kit supplies Robin Egg Blue & Teal felted wool, ivory felted wool, black wool, two button eyes, and Lapel Stick glue. You will need cotton stuffing, threads, and needle(s). Finished "Who Who Me?" pincushion measures approximately 5 1/2 x 6 1/2". Thanks for shopping & happy Stitching! "When life goes to pieces- start PINNING!"